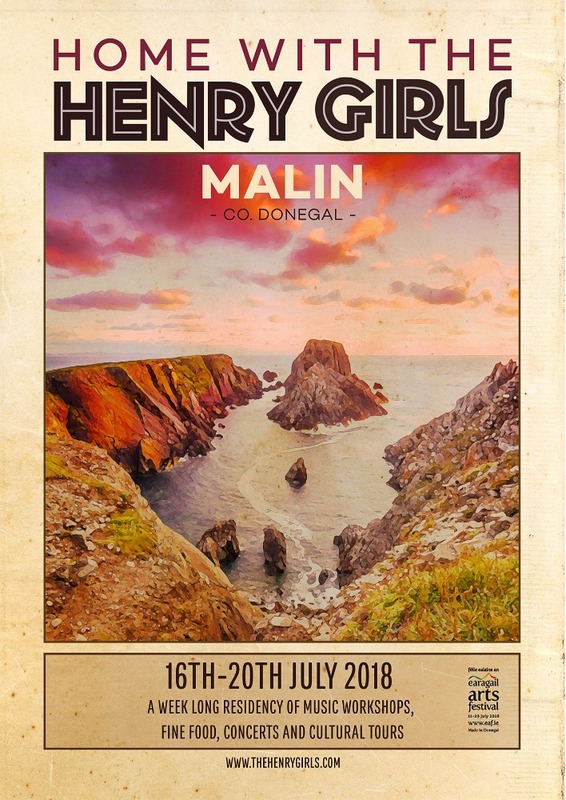 After a hugely successful first year of Home with The Henry Girls in 2017, we are delighted to bring this unique residency back to Donegal in July 2018. But if you want to come along, you better book fast because the spaces are almost all gone. Come and join us for an enthralling taste of Irish music & culture. Based in our home village of Malin, Donegal on the Wild Atlantic Way, we will be your hosts for a 5 day long residency of songwriting workshops, cultural tours, authentic local cuisine, traditional pub sessions and unmissable concerts from 16th -20th July 2018. Due to the feedback from attendees in 2017 we have included more workshops in 2018 and will release the full itinerary soon! Admission: €495 Full price includes all workshop fees, concert tickets, guided tour transport, lunches, evening meals, entry to tour venues and traditional pub sessions. All bus transport for tours will depart & return to The Malin Hotel. IMPORTANT INFORMATION: All levels of experience welcome, some musical knowledge preferred, suitable for ages 16+. To express your interest and reserve your place please email info@eaf.ie with 'Home with The Henry Girls 2018' as the subject title or click this BOOK NOW button.